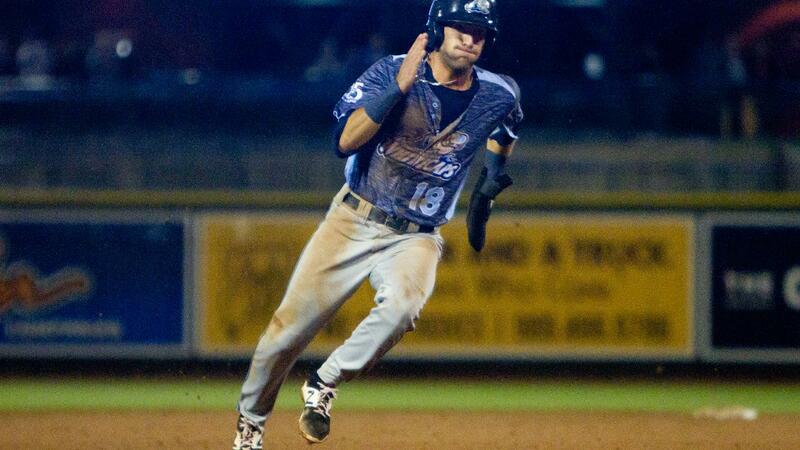 MIDLAND, MI - The West Michigan Whitecaps completed a stunning 2-1 come-from-behind victory in Game 2 of the 2018 Midwest League Eastern Division Quarterfinals to sweep the Great Lakes Loons Thursday night at Dow Diamond in ten innings. In the last four days, the Whitecaps have rallied from being down a run going into the final inning on two different occasions after tallying just one comeback win throughout the entire 2018 regular season. West Michigan will face the Bowling Green Hot Rods in a 2018 Midwest League Eastern Division Final best-of-three series beginning Saturday from Fifth Third Ballpark. The Loons opened the scoring by taking advantage of a balk by starting pitcher Wilkel Hernandez in the third inning to take a 1-0 lead. It was the only run Great Lakes scored on the evening, as Hernandez tossed five innings allowing a run on four hits. In the seventh, the Loons threatened by loading the bases with none out before center fielder Chris Roller grounded into a double play that denied a potential insurance run to score. In the ninth, West Michigan was pressed down to the final strike on two separate occasions before Reece Hampton delivered a game-tying RBI-single to tie the game at one. The game proceeded to extra innings, where shortstop Luke Sherley provided a go-ahead run-scoring infield single to plate Colby Bortles and take a 2-1 advantage. Billy Lescher (1-0) tossed two scoreless innings in relief to earn his first postseason win, while Darien Nunez (0-1) gave up both 'Caps runs in his only postseason defeat. Sherley reached base four times as part of the Whitecaps victory. The Whitecaps return home for the 2018 Midwest League Eastern Division Finals against the Bowling Green Hot Rods Saturday at 6:00 pm from Fifth Third Ballpark. Pitcher Chance Kirby gets the start for West Michigan, while the Hot Rods starting pitcher is to be determined. Broadcast coverage with Dan Hasty and Mike Coleman begins on the Whitecaps Baseball Network at 5:50 pm. Tickets are available for any Whitecaps 2018 home contest by calling the Whitecaps front office at 616-784-4131 or by visiting www.whitecapsbaseball.com.